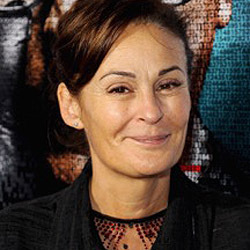 Robyn Slovo began her career writing and producing for the stage. She segued to reading and story-editing for film and television, and in 1993 became executive in charge of all development for BBC Single Drama/Films. While at the BBC, she worked on a diverse slate of feature films, telefilms, and television dramas. In 1997, Robyn joined George Faber and Charlie Pattinson in forming Company Pictures. She was head of film at the U.K. production company, remaining with Company for a decade. Whilst there Robyn worked on Shane Meadows’ early films 24/7 and Room For Romeo Brass along with producing Lynne Ramsay’s Morvern Callar starring Samantha Morton. Robyn has been an independent producer since 2010. Among her credits are co-producing Norman Jewison’s The Statement; executive-producing Penny Woolcock’s Mischief Night and Dan Wilde’s Alpha Male; and producing Gimme Shelter, a short film directed by Ben Affleck. The latter was made in late 2008 in the Democratic Republic of Congo, for the United Nations High Commission for Refugees. For Working Title Films/Focus Features, Robyn first produced Catch a Fire. The movie, starring Derek Luke as real life South African hero Patrick Chamusso, was directed by Phillip Noyce and written by Ms Slovo’s sister Shawn Slovo. For Working Title Films and Studio Canal, Robyn Slovo produced Tinker, Tailor, Soldier, Spy directed by Tomas Alfredson, written by Peter Straughan and starring Gary Oldman, Colin Firth and Tom Hardy. Her following film for WT/Studio Canal was The Two Faces of January written and directed by Hossein Amini, starring Viggo Mortensen, Kirsten Dunst and Oscar Isaac. Robyn is currently in post production on Tomas Alfredson’s film The Snowman, (for WT/Universal Studios) starring Michael Fassbender and Rebecca Ferguson. And in development on Peter Straughan’s adaptation of John le Carre’s Smileys People. She is also currently Executive Producing Hossein Amini’s 8 part TV series McMafia (Cuba Pictures/BBC/AMC) and Tony Grisoni’s TV four parter The City and The City (Mammoth/BBC).